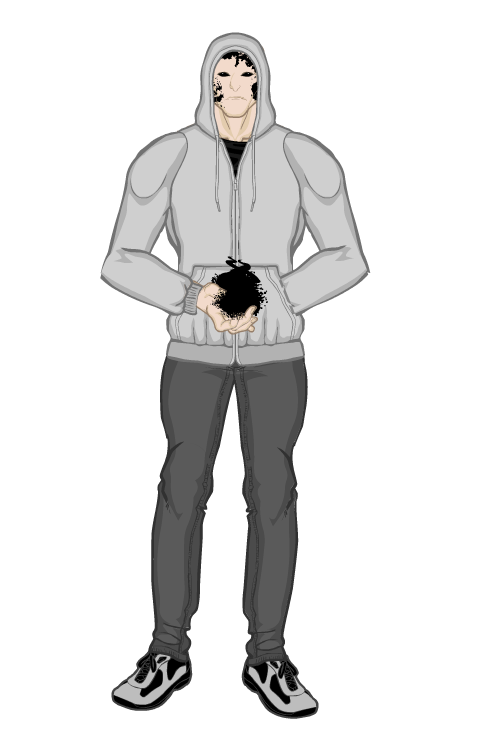 Here is Raul Martinez, a young mutant whose mutation gave him the ability to generate and control a black goo that hardens into an incredibly durable substance also left him looking inhuman. He ran away from home as a result of this disfigurement and joined up with a superpowered gang. He is not a bad person, just confused.